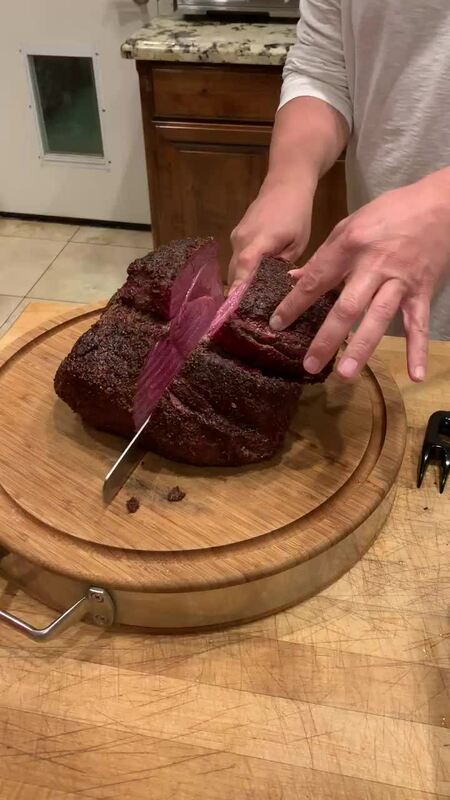 Sometimes referred to as "round tip roast," the Fullblood Wagyu sirloin tip roast is cut from the hindquarters (round), adjacent to the sirloin. Although from the round, the sirloin tip is one of the more tender roasts we offer. The Fullblood Wagyu beef sirloin tip roast is leaner and fairly tender, so it is generally best for slow-cooking and roasting to improve its tenderness. When roasting, it's best to carve into thin slices. If cutting the sirloin tip roast into steaks, marinate before grilling for the best experience. Wonderful. Tender, full of flavor and tender. You will be disappointed with anything else. Slow roasted then seared to perfection What a great roast. Came frozen, a great tasting cut of meat.